There is no end to the romantic (and economic) possibilities when considering apartments for sale in Italy. 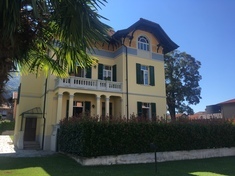 At Gate-Away.com, with our incredible inventory of apartments for sale in Italy, we are sure you will find your own Italian dream residence. 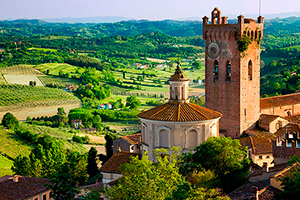 From sun-drenched beaches to rolling vineyards to crisp alpine meadows, Italy beckons with bold and subtle wonders that are sure to captivate the most discerning home seekers. 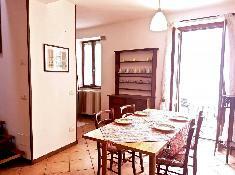 Apartments in Italy provide a wonderful way to become completely immersed in the Italian culture. You may not have the same type of privacy that you would expect from, say, a rustic farmhouse far out in the country, but the trade-off inherent in the feel of a more intimate, involved, and community-oriented lifestyle may be well worth it. Every city and town has its little neighborhoods, each with its own “personality”, where apartment dwellers who share buildings will also “share” local bistros, taverns, and shops, and this commonality of experience enables local denizens to establish a true sense of “belonging”. 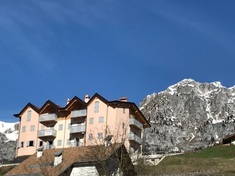 In every price range, and in every region of the “boot”, there are beautiful apartments for sale in Italy! Whether your vision is a luxury flat in an already renovated Murano glass factory, or maybe a “project” apartment overlooking the sea in Palermo that awaits the personal touches of its new owner, there are properties available to suit every need, want, and desire. 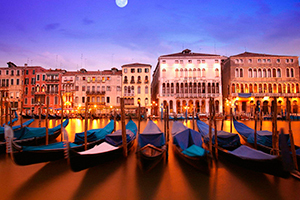 Why Buy Apartments in Italy? When people buy apartments in Italy, they are buying much more than four walls, a floor, and a door; they are buying into the Italian Dream, something that has to be lived to be believed! There has never been a better time than “right now” to buy apartments in Italy, with inventories at or near all-time highs, and prices that are low enough to suit every budget. There is a great versatility in the use potential for every apartment that is purchased. You may decide to live there full-time, seasonally, or for the occasional vacation. Depending on the location, you might wish to rent your apartment to others if you aren't using it yourself. This type of rental marketing is most popular, of course, in tourist areas, such as beach resorts, popular cities, and skiing villages. Apartments are usually found in cities and towns, though there is another intriguing way to fashion this kind of abode. Some detached dwellings in the country easily lend themselves to being partitioned into multiple smaller domiciles, while still sharing common areas and amenities, such as stables and swimming pools. The good news here is that you don't need to be a Hollywood star or a billionaire (though Italy certainly welcomes these folks, too) in order to bask under the Tuscan sun. 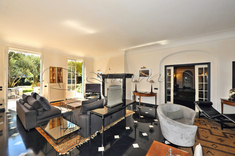 When it comes to Italian apartments for sale, there is something for everyone. Are you and your family looking for skiing in the Dolomites? Then, maybe you will opt for a cozy flat in Trentino's splendid enclave of Carisolo, where breathtaking views and invigorating mountain air are sure to excite ardent outdoors aficionados. Perhaps your tastes are more scholarly. 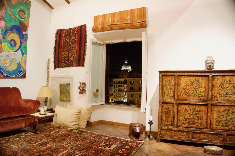 If so, check out Italian apartments for sale near some of the greatest libraries in the world. For example, the Monteverde neighborhood, in Rome, is within walking distance of the Vatican Library and close to a bevy of world-class museums. Mesmerized by the fantastic Aglianico red wines of Basilicata? 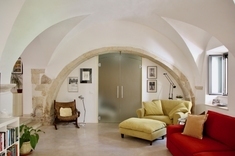 Then, step back in time (way back), and into one of the exquisitely refurbished apartments for sale in Italy, in the Sasso Barisano, the ancient heart of Matera, where the sipping is a pleasure, and the sense of history is as real as the noble grapes of the region. 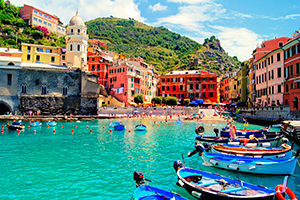 Come to Italy with confidence, and know that Italy will welcome you warmly, as it has welcomed visitors and home seekers for centuries.